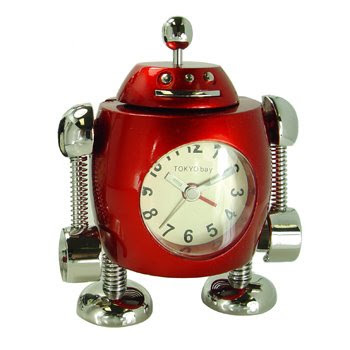 Check out this awesome robot clock that my husband got me for Christmas! Isn't he cool?! Made by the folks at TOKYObay, these bots are solid. I love the shape of this little guy, especially his squatty legs. His arms and legs move, too, which is really cool. There are 5 robots in this collectable series, but TANK is by far my fave. Thank you, Jake!